F1's season-openers in Australia and Bahrain hinted at opposing storylines for the 2019 season - with Mercedes dominating one race, and Ferrari clearly ahead the next. But Shanghai painted a much clearer picture, and one that was all-the-more worrying for Ferrari. On a high-powered track which should have suited their package, the high-powered team fell flat. And it was Mercedes, with their well-balanced W10, who crushed their rivals-in-chief at the Chinese GP. "We've soon got to stop talking about Ferrari this, Ferrari that, Ferrari amazing power...because they are not delivering," said Sky F1's Martin Brundle. "We have to accept that Mercedes are beginning to dominate this." Martin added: "Ferrari could and should have won in Bahrain, we must remember that. But in the cold light of day, Mercedes are comfortably leading both championships with three one-twos in three races." For all the talk of Ferrari having more straight-line speed - an unfamiliar feeling for a Mercedes team who have had F1's strongest engine in this hybrid era - and potentially having a large advantage because of it, the record-breaking Silver Arrows have achieved their best-ever start to a season, becoming the first team to kick-off a campaign with three consecutive one-twos since Williams in 1992. As opposed to last year when the Ferrari had few notable weaknesses, it is the world champions who appear to have a more rounded challenger. In the Shanghai race, where Ferrari secured a qualifying one-two last season, Mercedes had far more downforce through the corners, while also not being overawed on the straights by Ferrari - who weren't nearly as powerful in the race as they hinted at on Saturday. 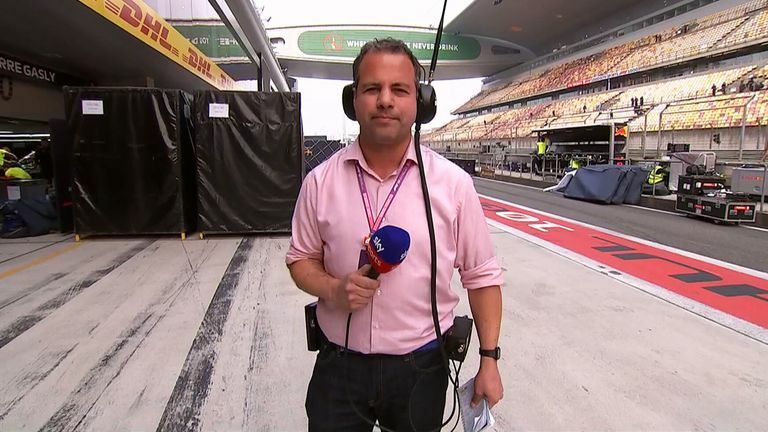 "I think Ferrari have got a load of power that they can't use," said Brundle. "I don't know if it's heat management or reliability, but they seem as though they can turn it on. You suddenly see a top speed and think 'wow, that's incredible' -but they don't deliver it very often." Sebastian Vettel, a distant third and 14 seconds behind race-winner Lewis Hamilton, admitted that during the race he "felt some limitations" and that Ferrari's gap to Mercedes was "similar to Australia". 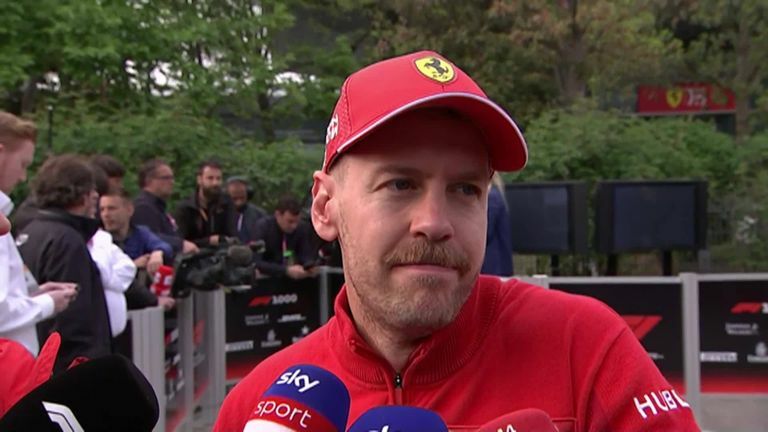 Sky F1's Nico Rosberg, meanwhile, believes Ferrari have dug themselves a hole with their SF90. "I'm hearing from the Ferrari guys that they've got their car in the wrong aerodynamic window at the moment," said the 2016 world champion. "They need to make changes internally but it's going to take time. "They're only very good in the ultra high-speed tracks at the moment but as soon as there are more corners, then they're struggling." And who better to be armed with a conquering car than Hamilton? The five-time world champion was, generally speaking, nowhere for much of the China weekend. Two tenths off in Practice One, seven tenths off in P2, and eighth tenths off in P3. But he pulled a final lap out of the bag in qualifying to finish just 0.023s behind Valtteri Bottas, and then aced his start on Sunday to get ahead of his Mercedes team-mate. Once he'd pulled that off, Hamilton never looked back and had a clear lap-by-lap advantage over the man who is currently his main rival for the title, albeit at this very early stage of the season. 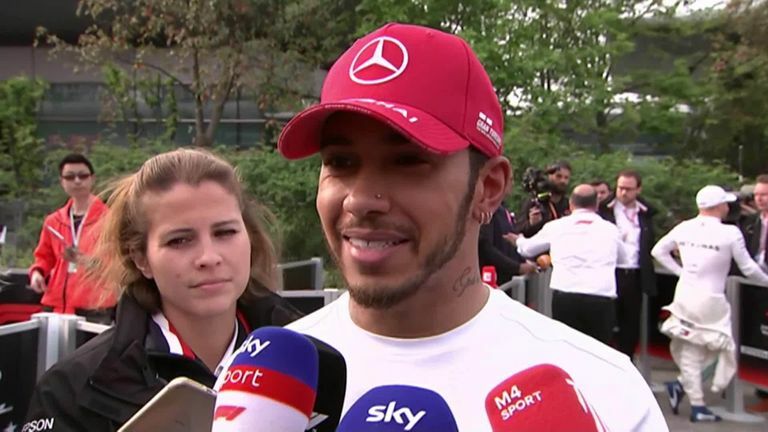 "Considering it was a real struggle this weekend I'm really grateful for the result," Hamilton told Sky F1. "It doesn't matter if you're not perfect as long as you are making improvements, which I did." Even in his championship-winning seasons, Hamilton hasn't always started the year in the best of form. But he looks as motivated, and more importantly quick, as ever in 2019. Three races in and it's now three different sets of team orders issued by Ferrari. As many had predicted well before Melbourne, Sebastian Vettel versus Charles Leclerc is proving competitive and compelling, with the Maranello's new young star putting the team's established leader under consistent pressure. Yet, Bahrain aside - when Leclerc at least was flying and would have won but for an engine fault - the other two instances of pitwall management have occurred during a Mercedes-dominated race. So while plenty of questions are naturally focusing on the rights and wrongs of such tactics, and who exactly will be the team's number one going forwards, Ferrari themselves insist a bigger problem needs to be analysed and solved. "Going back home the first priority will be to focus on the performance of the car," stressed boss Mattia Binotto. "I'm pretty sure if we got the performance which will keep us ahead of the others this issue will be sorted." Binotto said telling Leclerc to move aside of Vettel was "certainly not an easy decision", and thanked the frustrated youngster for his compliance, but said they were simply trying everything to try and put some pressure on Mercedes. The concern for Maranello is that it simply didn't work. "We try to get stronger and fight Mercedes who are currently a little bit ahead," said Vettel on Sunday night. "We have to understand why we're behind and work on that, so we don't have to worry about these things." At this stage last year, or particularly the end of F1 2018, you would have expected Red Bull to be capitalising on Ferrari being two or three tenths-a-lap slower than Mercedes by getting one of their cars onto the podium. 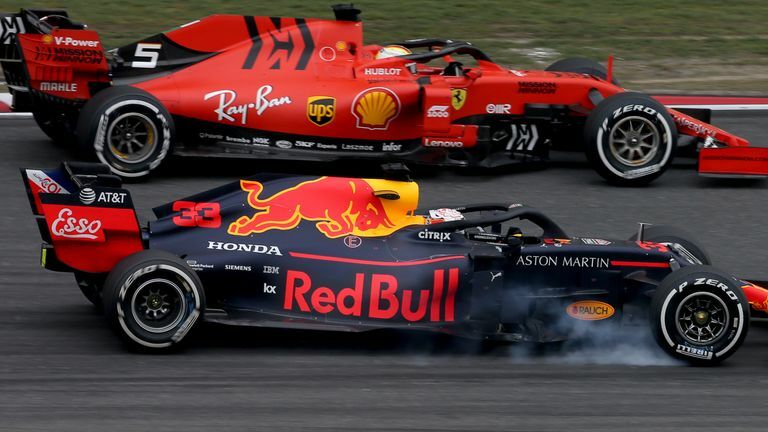 But while Max Verstappen battled Vettel closely following the first pit-stops on Sunday, Red Bull were evidently still a fair bit slower than Ferrari and felt they "maximised the result" in China with fourth. Team boss Christian Horner is, however, confident of improvement, telling Sky F1: "We had a good weekend here, the chassis has made a big step forwards. Honda have made progress on the straights. "We still have that bit to find to the cars ahead but there is stuff in the pipeline that should help us in the near future." Red Bull would also be better-placed to capitalise on potential opportunities if Pierre Gasly picked up his pace. The Frenchman secured his best finish of the season this weekend, but was still over 0.5s-a-lap slower than Verstappen. Behind Gasly, it was Renault's turn to finish 'best of the rest' - with Daniel Ricciardo, who won in China last year, securing his first points at his new team - and they will now hope to push on in their quest for fourth, and in their hunt of the top three. Haas struggled again on race day with Sergio Perez, Kimi Raikkonen and Alex Albon finishing the top 10. McLaren, meanwhile, had an off-weekend, not helped by a first-lap shunt, for a team who have clearly made huge strides over the winter.